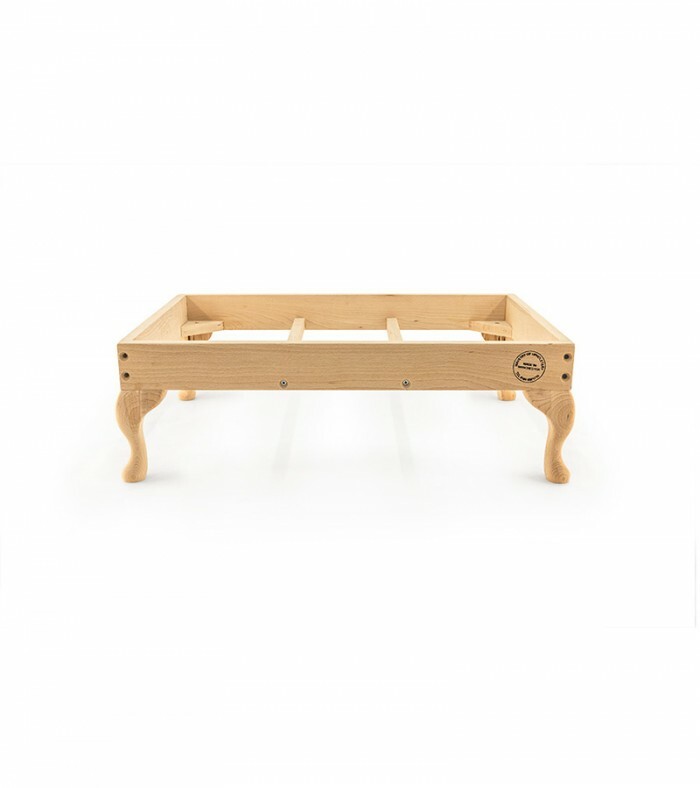 Perfect for someone who already has some upholstery experience, this kit contains everything you need to build your own footstool at home! The solid hardwood frame is made in-house at the Ministry frame workshop. Choose from two sizes. Max. 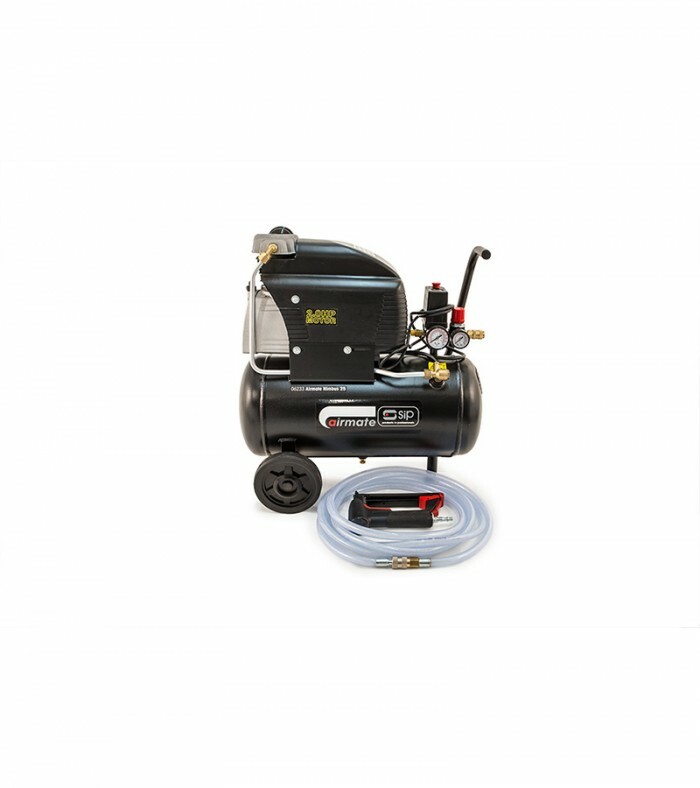 Free Air Delivery (F.A.D)5.3CFM (150 litres/min)Max. 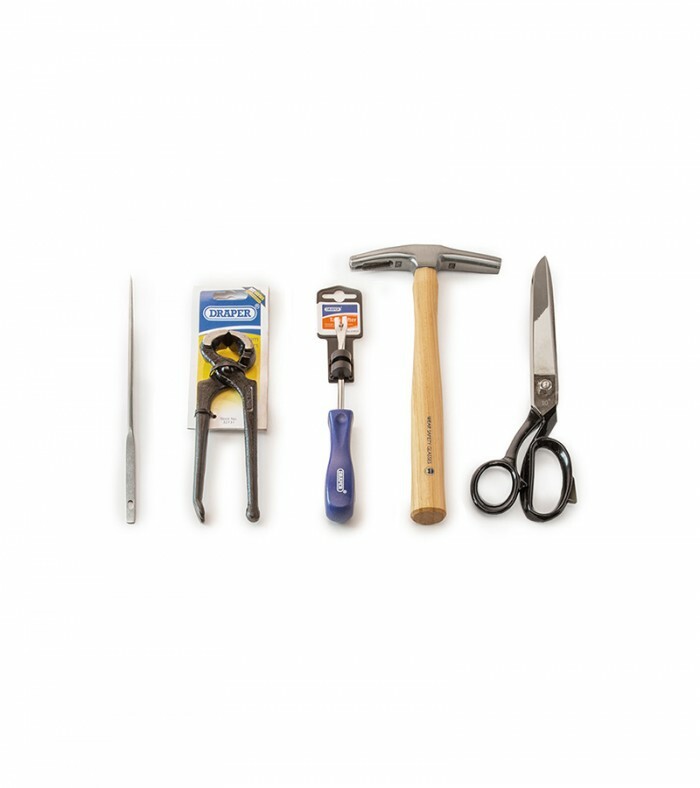 Everything we have in our toolboxes at the Ministry and all the essential tools you’ll need for any upholstery project. This kit contains a magnetic upholstery hammer, a regulator, a tack lifter, a pair of shears and a pair of pincers. Not sure which of our many courses to go for, then opt for the open gift voucher. You can purchase this for any amount from £10 and this can be redeemed against any of our courses or upholstery products. If you have your own project, which you would love to tackle, then our project-based course is the one for you. 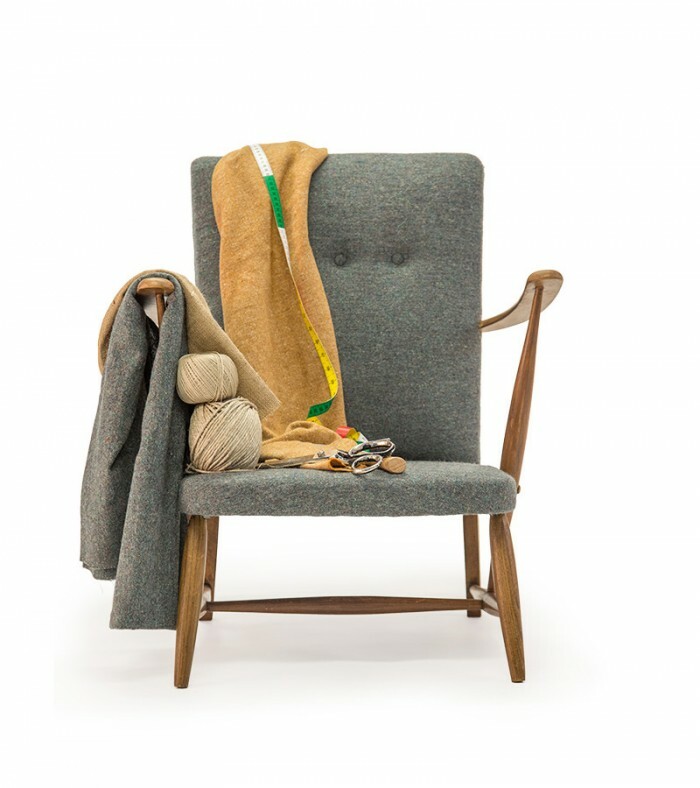 This course comprises of 3 days intensive but light-hearted tuition in modern upholstery. We will teach you how to completely strip your project back then, after a staple gun and tool induction, you will reupholster your project to your particular specification. For this 3 day course, we recommend you bring nothing bigger than a small fireside chair. 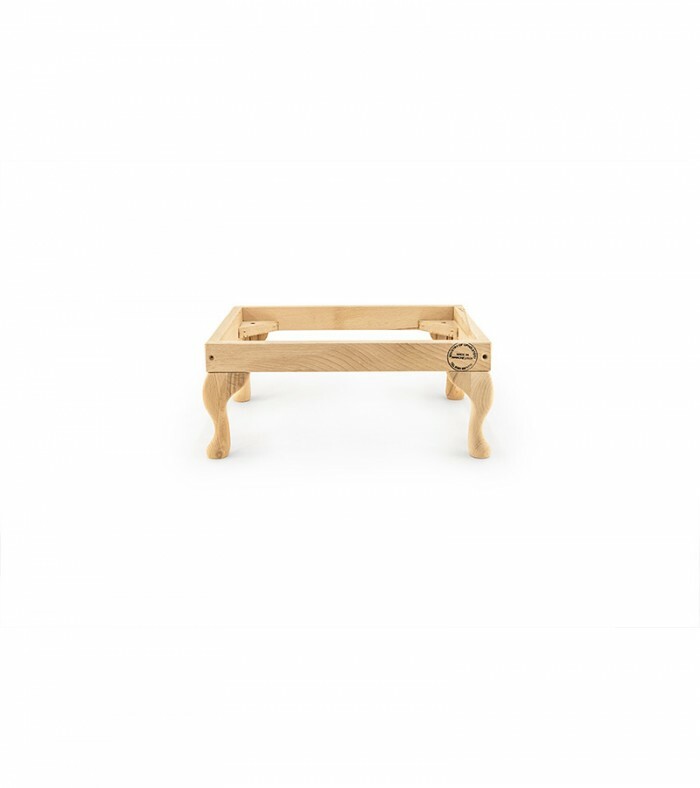 Dining chairs, a headboard, a footstool or an ottoman would also be perfect. If you have a bigger project in mind, then you may wish to consider the 5 Day Bring Your Own Project Course. *The gift voucher can be redeemed against any 3 weekdays for a one year period from the date of purchase. Please note that gift vouchers are non-refundable. They can be upgraded or transferred to another course. If they are transferred to another course which carries less value than the value of the voucher, then no refund will be given for the difference but this can be spent on any products at Ministry of Upholstery or used in part payment for another course. Taught by our Creative Director Anthony Devine from BBC’s Money for Nothing, this is one of our longest running and most popular courses. This is perfect if you want to try your hand at something new or if you just fancy getting creative and making an amazing project! Designed as an introduction to the craft, you will start with a solid hardwood frame, made in-house in our frame workshop. You will learn about the tools and materials used as well as covering lots of techniques from webbing, applying Hessian and wadding, cutting fabric, corners and shallow buttoning. 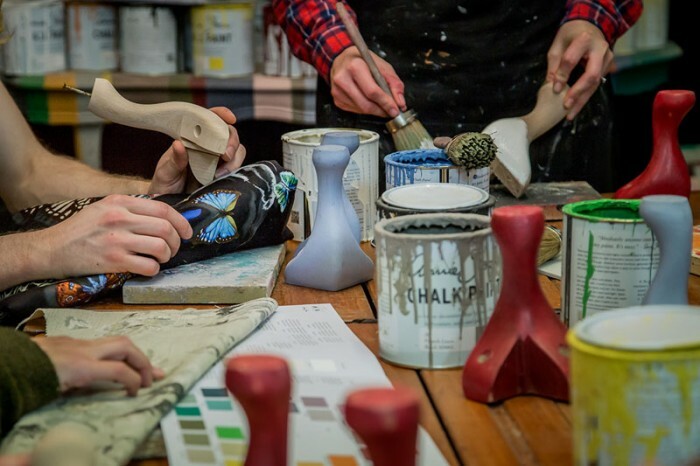 You will also be introduced to Chalk Paint®, decorative paint by Annie Sloan and basic painting techniques and can choose from a pallet of 36 colours to paint your legs to match your fabric choice! We keep the class size small with a maximum of 10 people to ensure that you get the most out of it and at the end of the two days you will be able to take your footstool home to show off your new found skills. Keep it and admire your handiwork or, alternatively you could always sell it to pay for your next course because trust us, you will be addicted! 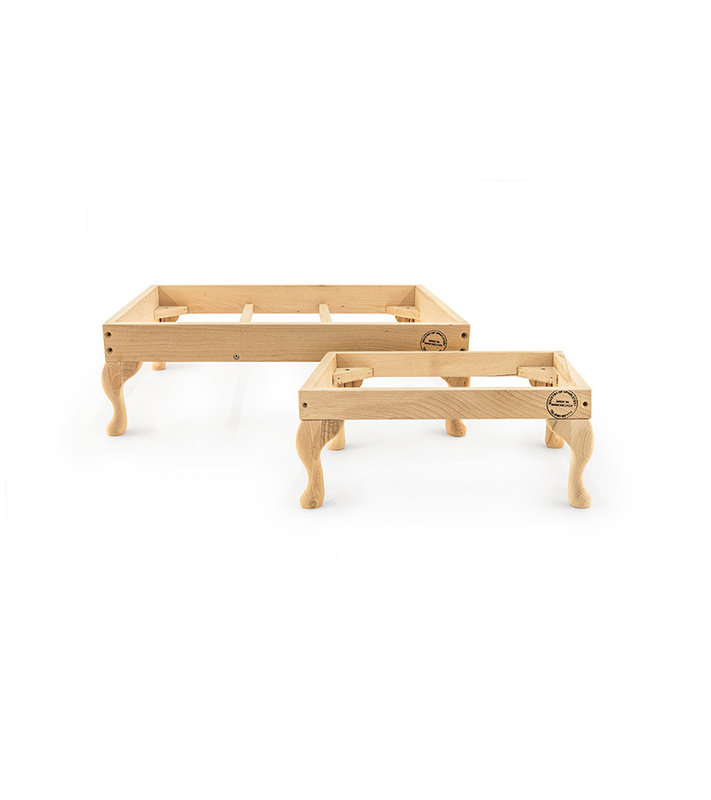 You have an option of two sizes when making the footstool, the small which is perfect for smaller spaces and perfectly foot sized, coming in at 48cm x 36cm. 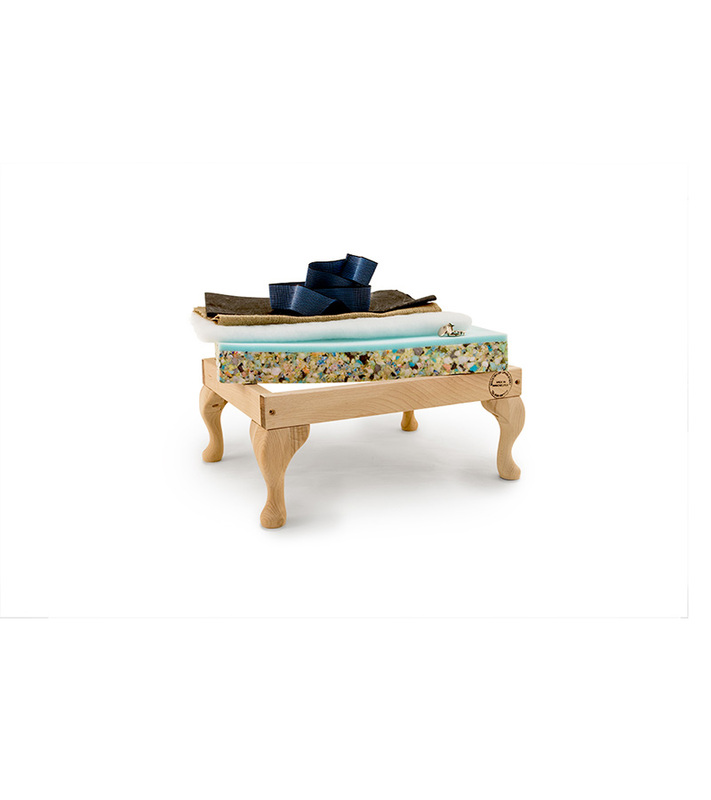 Or if you wish to go large, then our 70cm x 48cm footstool makes that bit more of an impact! Either way you only need one metre of fabric and the rest is included in the cost of the course! *The gift voucher can be redeemed against any Weekend Footstool Course within a one year period from the date of purchase. Please note that gift vouchers are non-refundable. They can be upgraded or transferred to another course. 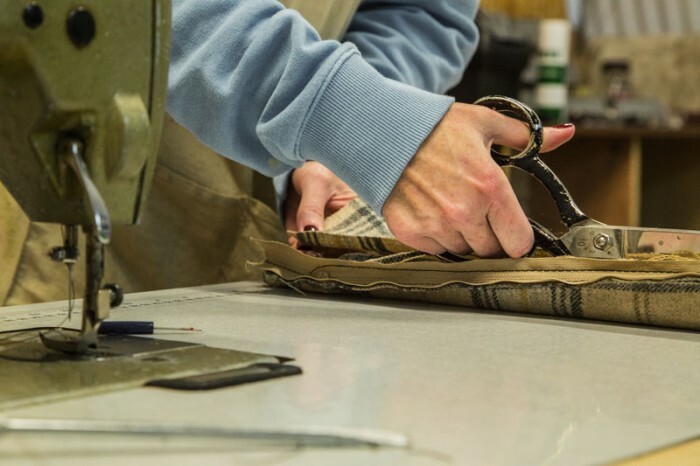 If they are transferred to another course which carries less value than the value of the voucher, then no refund will be given for the difference but this can be spent on any products at Ministry of Upholstery or used in part payment for another course. If you have got the mid-century bug but can’t find a suitable frame, then this 4 day course offers the complete package so all you need is your fabric and away you go! 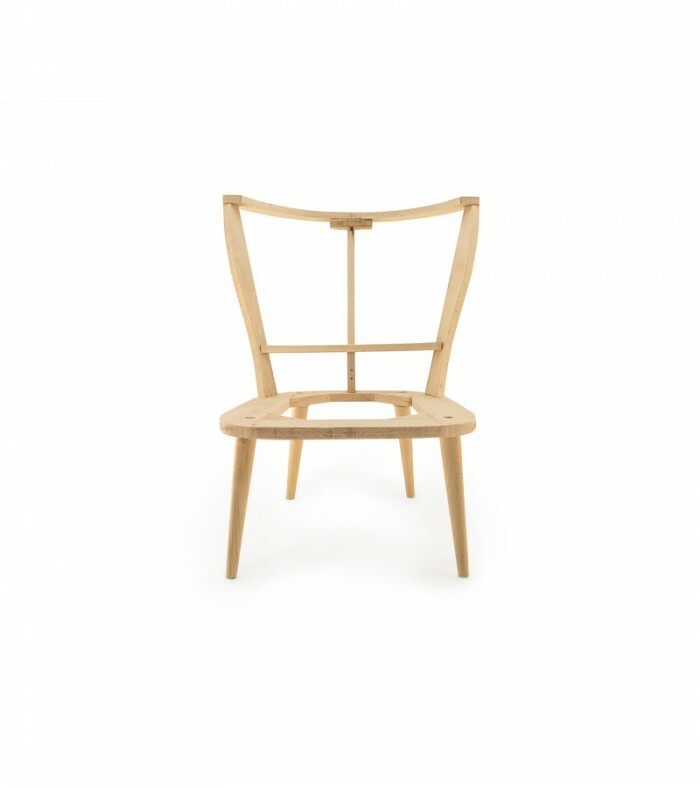 These cocktail chairs are incredibly sought after so you can be the envy of your friends with your unique version, which you’ll be able to say you created yourself. In this course, you will start with a brand new frame, which are constructed in-house in our frame studio from solid hardwood. 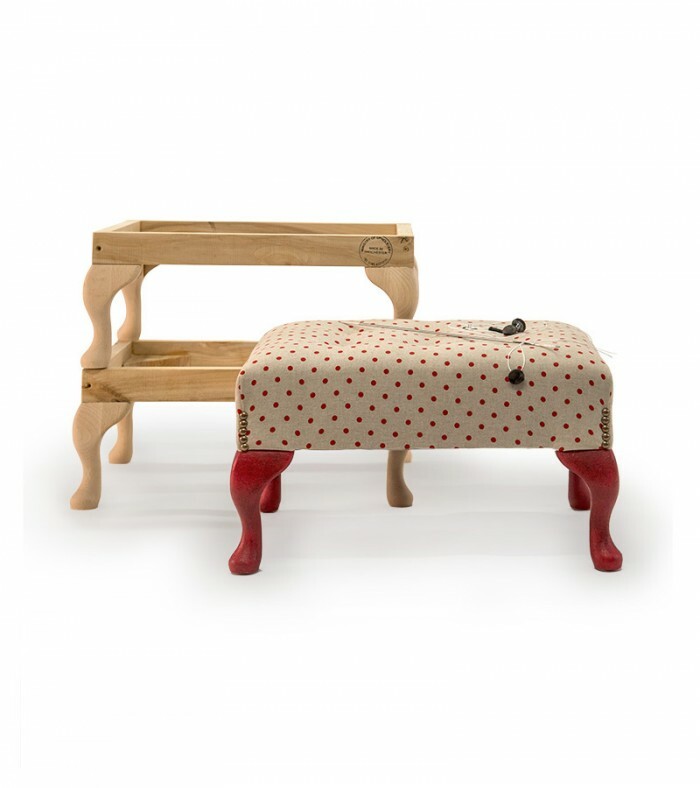 It’s suitable for beginners to upholstery and those of you that may have tried your hand at some basic skills. 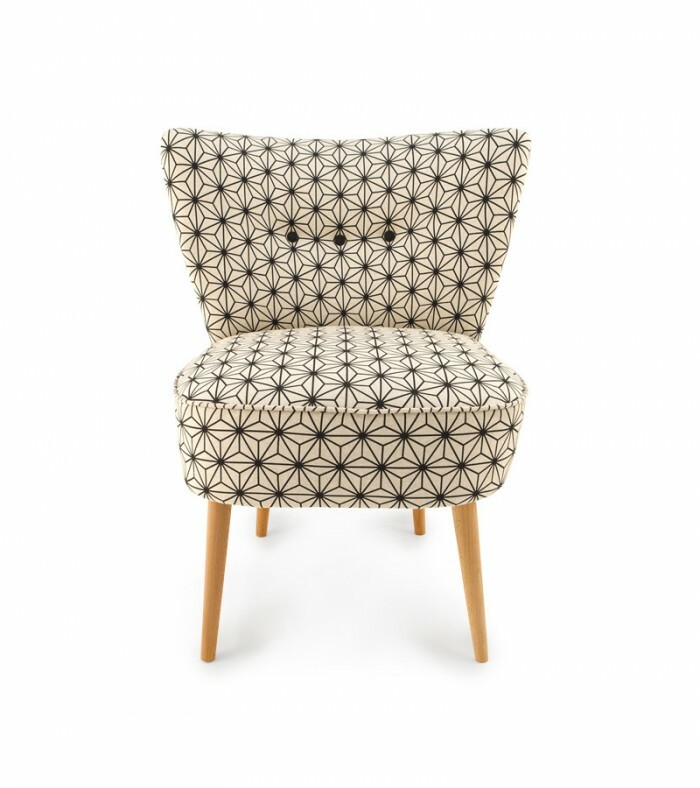 The cocktail chair is constructed using a mix of traditional and modern upholstery techniques so this course serves as an excellent introduction to the craft and you will see immediate results as there is no need to strip the chair before you can crack on. 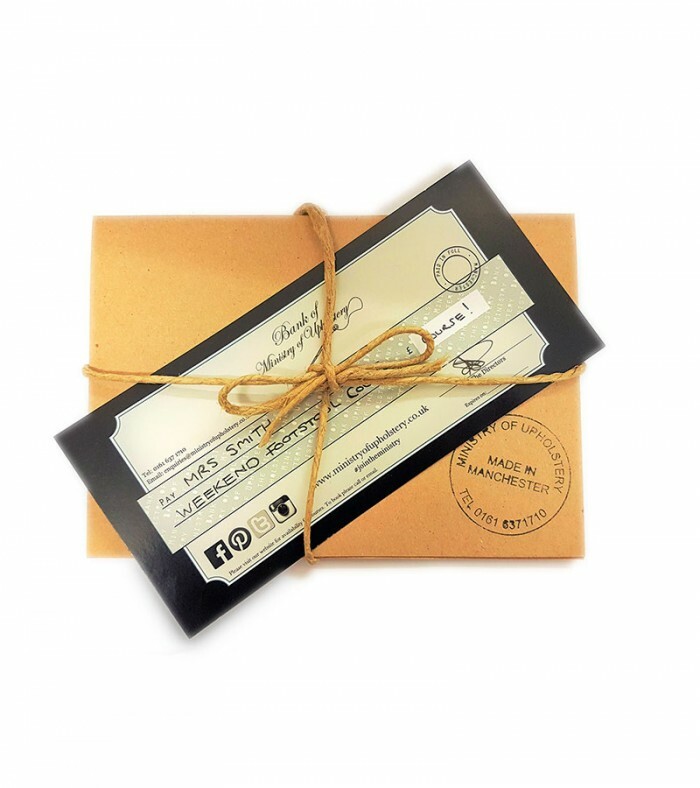 *The gift voucher can be redeemed against any 4 weekdays for a one year period from the date of purchase. Please note that gift vouchers are non-refundable. They can be upgraded or transferred to another course. If they are transferred to another course which carries less value than the value of the voucher, then no refund will be given for the difference but this can be spent on any products at Ministry of Upholstery or used in part payment for another course.